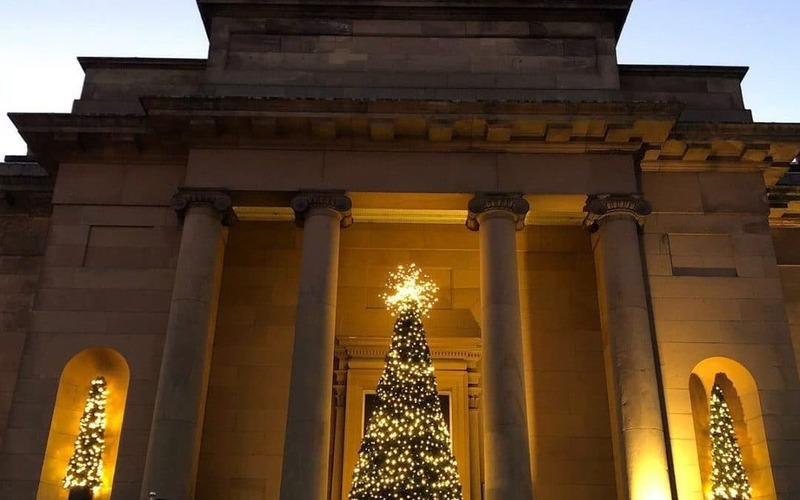 The Courthouse, Knutsford will be handing out golden tickets to diners during December. The special tickets will give diners 30% off food at its Barristers Restaurant & Bar throughout the whole of January and February 2018. Barristers Restaurant & Bar launched in the Grade II listed Courthouse building earlier this year. A majestic Georgian building designed by George Moneypenny and built in 1818, the iconic building boasts a centrepiece glass dome, decorative ceilings and oversized feature windows and is the perfect backdrop for a sophisticated lunch, afternoon tea or dinner. Executive Chef Steven Tuke takes the helm in the kitchen, backed by an incredibly passionate and innovative team, which includes new Head Chef Ian Roberts. A champion of locally-sourced and home grown produce, Steven, Ian and the team never fail to delight with sumptuous, seasonally inspired menus. Those having lunch or dinner in Barristers Restaurant & Bar in December will be given one 30% off Golden Ticket per person. The tickets can be redeemed against meals in January and February including lunch, dinner and afternoon tea. Barristers Restaurant & Bar has a capacity of 90 and features portraits of famous past convicts including Steve McQueen, Marilyn Monroe, Elvis Presley and Sirius Black, designed by local artist, James Blankhorn. Lunch is served from 11.30 and includes a selection of sandwiches, small plates, salads and regionally sourced main courses including Troffiette, Steak Frites and a special Courthouse Burger. Dinner is available in the restaurant from 6pm and includes a selection of meat and fish on the grill as well as vegetarian specials such as open lasagne and beetroot and blue cheese risotto. With plans afoot for 2018, 10 luxury bedrooms will be available in the wings of the building over the coming months, with a further 40 bedrooms being added at the rear of the site as the next stage of development. The Rooftops Gardens, a 100-capacity cocktail and Champagne bar, filled with botanical herbs, a Chef’s garden and seasonal flowers, will also open next year. The Courthouse is located in Knutsford, Cheshire and launched in June 2017. The property opened with Barristers Restaurant and Bar serving premium British seasonal menus, smoothies, cocktails, bespoke tea’s and coffee’s as well as their very own Barristers lager and craft beers throughout the day. The Court Room has now been converted into one of the largest ballrooms in South Cheshire ideal for large events, exhibitions, weddings and conferences with a banqueting capacity for 250 guests. The Rooftop Gardens is to be opened in the coming months providing a very unique cocktail and champagne bar with 10 luxury bedrooms coming online before the year end. An additional 40 bedrooms will be added at the rear of the building in 2018.